Four ounces of white East Frisian/Polypay roving purchased from a small farm. Washed and processed by Blackberry Ridge Fiber mill. 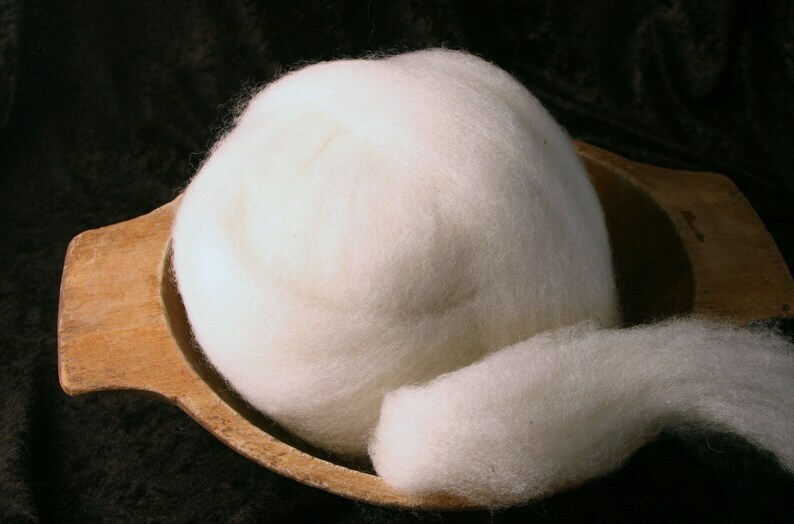 Ready to be spun or used in your felting project.